A great architect should use only the best sketchbooks for their projects. But how do you know which ones are the best? With a large market out there, it’s easy to get confused and end up buying the wrong product or something that doesn’t properly suit your needs. After all, a regular notebook just isn’t going to cut it for the real or aspiring professional. You need something that will help improve your game and make your sketches look as good on paper as they do in your mind. After all, your details make or break the design. There are those that would argue now, that the best drawing tablets have taken over from the traditional pen to paper sketchbooks. They may well have a case. But on site or on the move, when inspiration strikes, a paper sketchbook in much cheaper, portable and flexible than it’s electronic equivalent. Both, it would seem, have their place in the modern world. 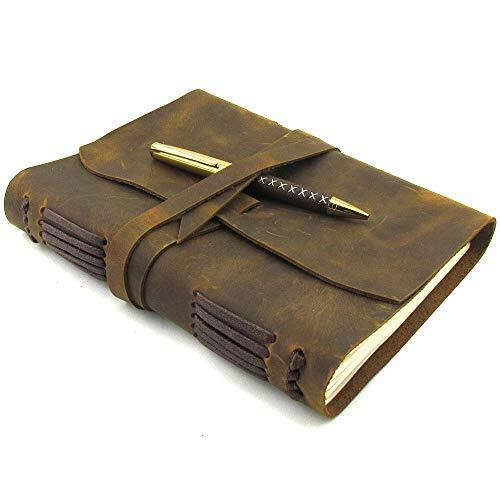 A good sketchbook should be made of quality materials and have a durable outer material to protect the inner pages. Even though today’s world of technology has brought us digital alternatives to the sketchbook, one with good-old-fashioned paper is still a great resource for the serious professional to have. When choosing a sketchbook for architecture, you want something plenty of pages that gives you enough space to comfortably draw on. Some architects prefer different sizes, but a good starting point is somewhere around the 9”x12” size. Of course, there are plenty of options that are much bigger and much smaller than that. 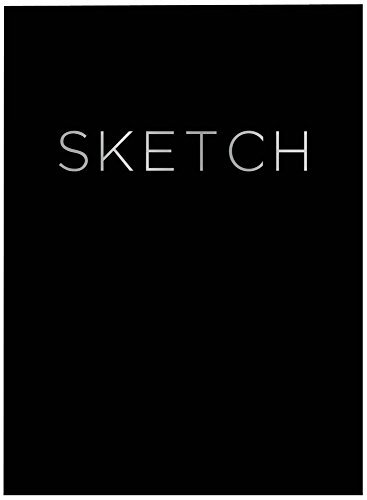 Now, let’s take a look at some sketchbooks that may be the right fit for you. Manufactured by Piccadilly, this large sketchbook is ideal for the aspiring architect. It comes with 240 pages of acid-free and wood-free paper for you to design your ideas in glorious detail. The paper in this sketchbook is archive quality, meaning that your works of art will stand the test of time while safely tucked inside. It weighs only 1.73 pounds and its’ dimensions are 8.3 x 1 x 11.4 in. The binding used in this sketchbook is open Smyth-sewn and the pages are cream in color with a blank layout. The cover style is artboard with foil stamping. 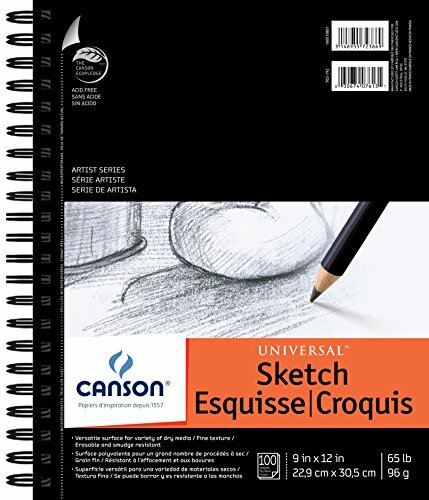 What are some of the pros and cons of this specific sketchbook? 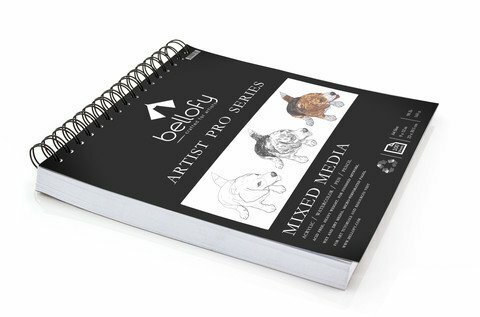 This 9×12-Inch sketchbook from Bellofy is a part of their “Drawing Pro Series”. They advertise the materials as being smudge-proof and eco-friendly. The paper is made of recycled, acid-free materials so it is safe for artists and the environment alike. The thick surface is meant to hold up against frequent erasing and can be used with pencils, pens, graphite, and even charcoal. It can be easily used by architects who are both right-handed and left-handed. This sketchbook features pages that are easy to tear out with clean perforation lines. And just in case you buy it and it doesn’t suit your needs, it comes with a 90-day money back guarantee. It weighs 1.74 pounds and its’ dimensions are 12 x 9 x 1 in. What are the pros and cons of this product? This beautiful, handmade sketchbook was manufactured by the Master Note company. It is as elegant on the inside as it is on the outside, and it is perfect for the professional architect. It is 5 x 7 inches and comes with 200 pages of paper inside. This paper is made of handmade, recycled cotton. It is eco-friendly and safe to use and handle. The outside is made of leather which has been dyed by oils. It is small, portable, and built to last for a long time. What do people like and dislike about this particular sketchbook? This sketchbook is ideal for keeping your architecture sketches organizes, since it comes with a pre-printed key and index page in the front. Created by the Scribbles That Matter company, it features 185 dotted pages, a key page, 3 index pages, and a pen test page so that you don’t ruin your invaluable sketches by testing your pen’s ink. The exterior of this sketchbook is water-proof so that your projects stay protected in any kind of situation. Thick, ivory paper helps avoid smears and smudges. What are the pros and cons of this particular sketchbook? This sketchbook by Canson is made of high-quality materials that any architect would find useful. It is 9 x 12 inches with 30 sheets of acid-free paper. The paper used in this sketchbook is durable and easy to write on without having to lay it on a flat surface. It only weighs 1.7 pounds, making it easy to take with you wherever you need it. Made by a cold press and exceptional for watercoloring, the paper in this sketchbook will stand up to numerous washes. What are some of the pros and cons of this sketchbook? Sterling Publishing makes this next sketchbook on our list. 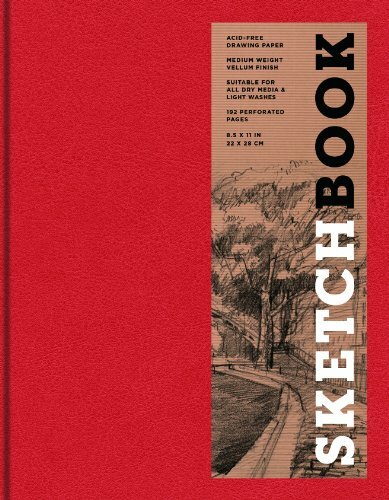 New and seasoned architects alike will enjoy using this sketchbook. The red cover is also pleasing to the eyes and will keep all the paper inside safe so that nothing unfortunate happens to any of your hard work. This hardcover sketchbook contains 128 pages of high-quality paper. Its’ dimensions are 8.8 x 0.5 x 11.8 in, and it weighs 1.7 pounds. This notebook is small enough to take with you, but also sturdy. Pages are perforated for a clean tear if you ever feel the need to remove something. But what are the pros and cons of this Sterling sketchbook? 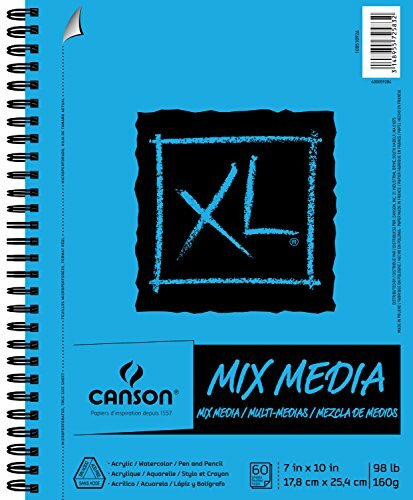 Another good sketchbook by Canson, this large pad is ideal for mixed media. It is 9 x 12 inches and contains 60 pages of acid-free paper. The pages are spiral-bound and Canson advertises that the paper is excellent quality. When you are doing sketches for your project, the paper in this sketchbook is ideal for a variety of materials. This includes pencil, watercolor, charcoal, and more. It is easy to erase any little mistakes to your design with this paper. The pages are also perforated for easy removal in case you need to do so. This sketchbook weighs 1.94 pounds in total, making it easy to take with you wherever the job carries you. 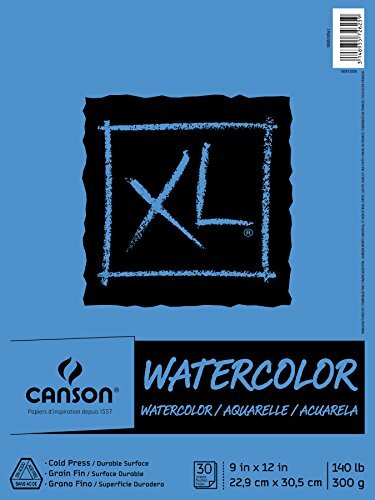 What are some of the pros and cons of this Canson sketchbook? -It is suitable for a variety of mediums such as pencil, charcoal, watercolor, etc. This durable sketchbook is made by the Strathmore. Its’ durability and versatility makes it ideal for both the seasoned and brand new architect. It is mainly intended for use with dry media. This includes mediums such as graphite pencil, colored pencil, soft pastel, charcoal, and more. Sheets are perforated to easily remove your project and share with the world around you. The acid-free paper inside can withstand erasing and will last for a long time to come. This product is proudly made in the United States of America. This book weighs 1.65 pounds and its’ dimensions are 11.6 x 8.8 x 0.6 in. What are the pros and cons of this sketchbook? This is yet another product on our list that is manufactured by the Canson company. 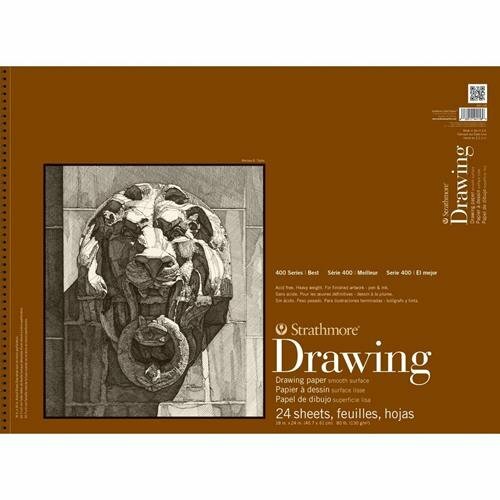 This paper sketch pad is perfect for architects who sketch with pencil and charcoal. It is 9 x 12 inches and contains 100 pages of acid-free paper. This sketchbook is wire-bound with perforated pages for easy removal. 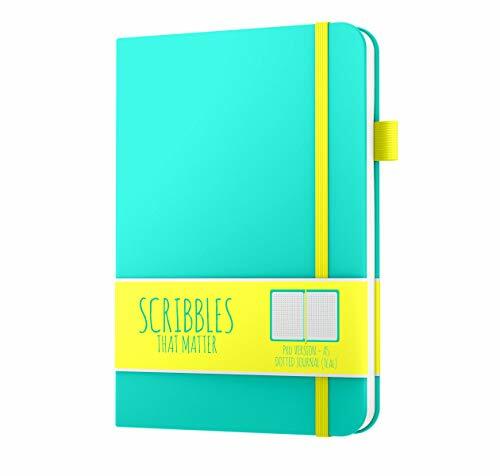 It is made with heavyweight sketch paper that erases neatly and is also smudge proof. It only weighs in at 1.9 pounds. Some Amazon reviewers have even called it their “favorite” sketchbook to use. What are some of the pros and cons of this product? 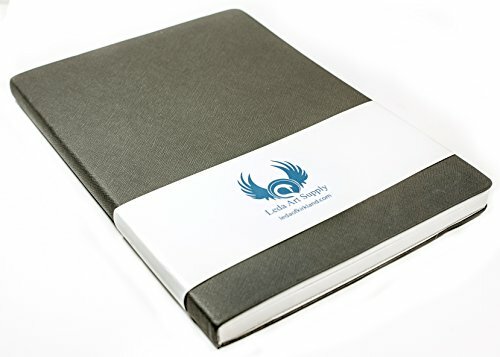 Last but certainly not least is this expert sketchbook from Leda Art Supply. This sketchbook comes with 160 pages of cream-colored paper inside. This paper can easily be used for mediums such as pencil, ink, pen, pastel, charcoal, and more. The cover is solid and the pages feature stitched thread that keeps them securely bound inside. This means that your work will be safe and secure for a long time to come. This sketchbook measures 7 x 10 inches and weighs only 1.19 pounds. So, what are some of its’ pros and cons?